Join Scott Abel, The Content Wrangler, for a lively discussion with three experts about the challenges inherent in creating conversational content for chatbots and intelligent devices. 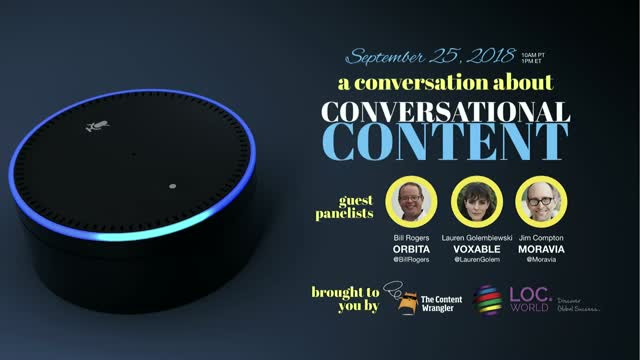 Scott will chat with Bill Rogers, Founder and CEO of Orbita, Lauren Golembiewski, CEO and Co-founder at Voxable, and Jim Compton, Technology Program Manager at Moravia. Register today! It's free. Not sure you can attend? Register anyway. Attendees receive a link to the recording shortly after each webinar.